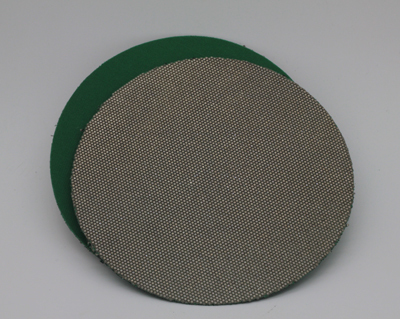 Flexible Diamond Sandings Discs and Metal Bond Nickel Discs are used for the grinding stage, giving high stock removal and a consistent, predictable finish. These Nickel bonded discs are used in combination with magentic Bond discs for the final polishing stages.Flexible supplies a full complement of large discs for all glass applications.Flexible Diamond Discs for Glass from ø150mm for artistic glass to ø600mm and above for robotic polishing of crystal and glass.may be run wet or dry. Provides aggressive cutting for hard-to-grind material,Open-dot abrasive pattern ,discourages loading Abrasive construction provides durability and long life, allows conformance to contours,perfect for flat or curved surfaces,Flexible diamond flat lapping discs can be supplied with various quick change options including QRS, different adhesives, magnetic and rigid combinations for grinding, polishing and lapping natural and synthetic stones, glass, ceramics and hard materials. Colour coded for easy grade identification. Flexible supplies a complete range of Metallography diamond discs can offer expert advice on how to utilise fixed diamond abrasives to improve production cycle times.which can grind and polish much faster than a diamond slurry system. Looking for ideal Flexible Diamond Sandings Discs Manufacturer & supplier ? We have a wide selection at great prices to help you get creative. 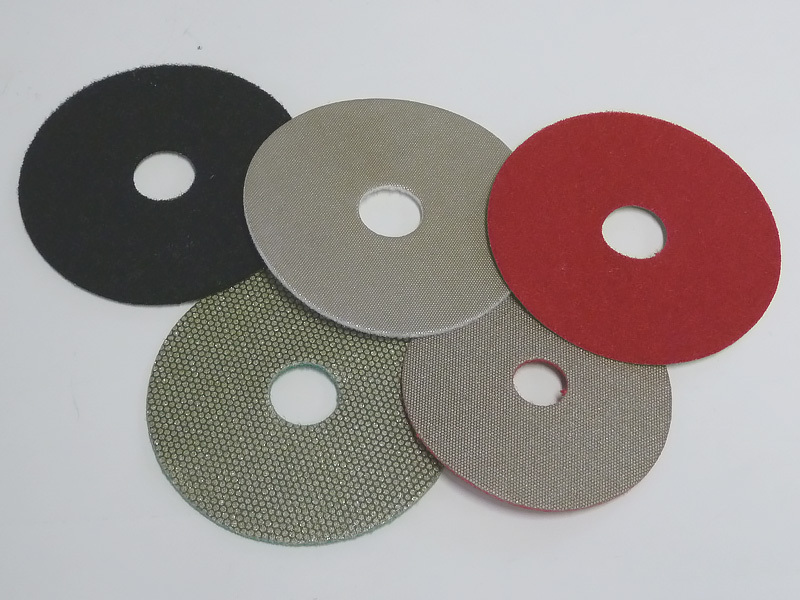 All the Flexible Diamond Abrasive Discs are quality guaranteed. We are China Origin Factory of Flexible Diamond Sandings Pad. If you have any question, please feel free to contact us.